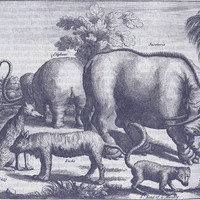 This engraving depicts a number of animals from the Asian tropics, including an elephant and a "sucoterio," which is likely a misinterpretation of a Sumatran rhinoceros. T'Amsterdam : Voor de weduwe van Jacob van Meurs, op de Keizers-gracht. 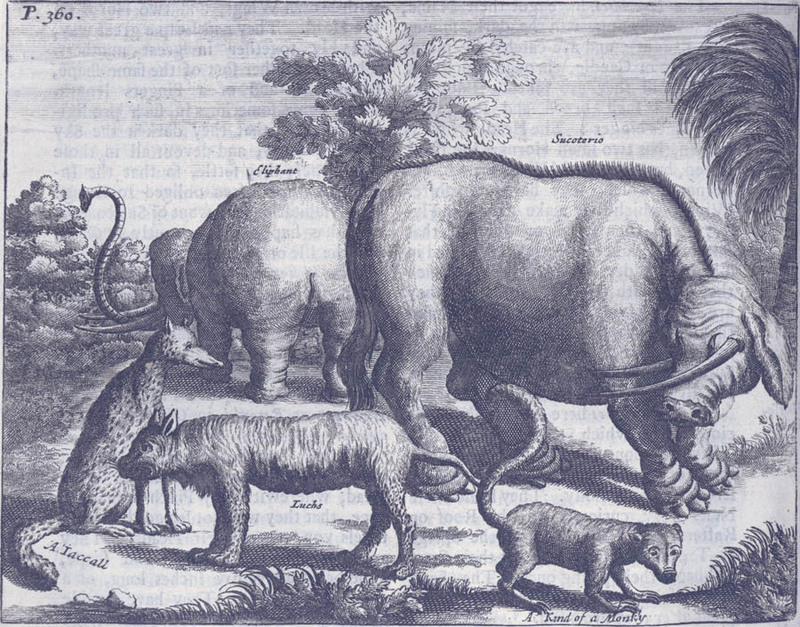 Nieuhof, Johann, “Tropical animals from Nieuhof’s Remarkable Voyages,” Digital Exhibits, accessed April 19, 2019, http://digitalexhibits.wsulibs.wsu.edu/items/show/4657.